Bill Busacca models the central third of the Rio Grande Southern's route, including Dolores, Stoner, and Rico, Colorado. 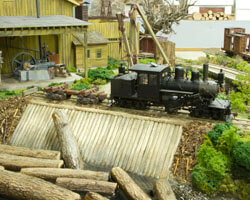 The Sn3 scale layout is set in the 1940s. 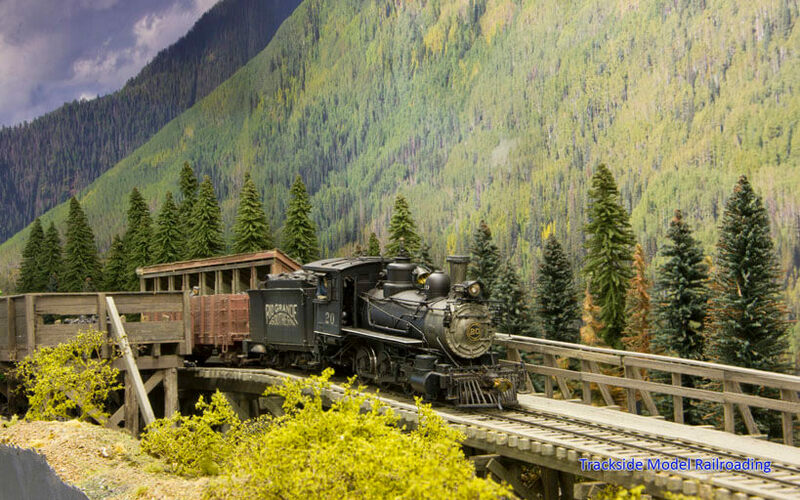 You will enjoy the carefully crafted scenes on the layout, from the red hills and cottonwoods of Stoner to the busy town of Dolores. Bill has modeled all of the Galloping Geese that were owned by the RGS. An article, photographs, and video are all included to provide you with a full tour of the layout. 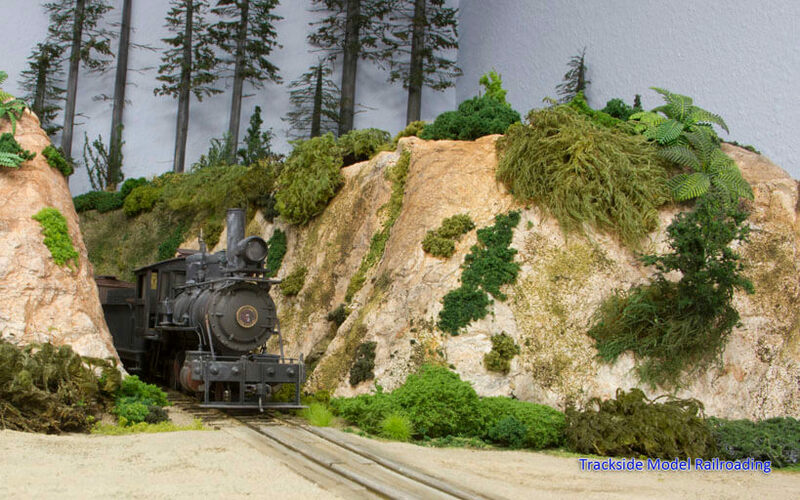 Ron Hopkins' freelanced railroad, the Moclips & Beck's Creek Railroad, is On30 scale. Ron's layout operates on Washington State's Olympic Peninsula in the 1940s. The railroad serves the towns of Moclips, Hoquiam, and the fictional community of Beck's Creek, where cedar trees are logged to be shipped to the shingle mill in Moclips. Tourists utilize the M&BC Railroad's passenger service to visit the coast. This layout is also covered with an article, photographs, and a video of the layout in action. 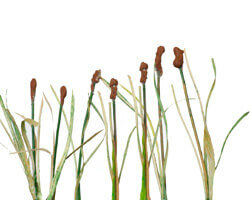 We show you how to make cattails for your own layout this month. This project is appropriate for any modeler and is a fun addition to a pond or marsh scene. Making your own cattails allows you to vary the coloration and sizing of the cattails more than the average commercially-produced plant.